Her future–and her heart–hang in the balance. But when Prosperity arrives penniless in the South, she is dismayed to find David has not been eagerly awaiting their reunion. In fact, he is married to someone else. Scrambling to survive and nursing a broken heart, Prosperity gains the friendship–and the affection–of a kind doctor. Could he be the answer to her loneliness? Or will her life be upended by circumstance yet again? 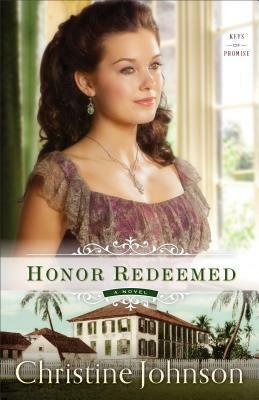 Although it is the second book in the Keys of Promise series, Honor Redeemed can be enjoyed as a stand-alone story. However, those who have read Love’s Rescue are sure to delight in the opportunity to revisit Rourke and Elizabeth O’Malley. Brit, I loved your review. It makes me want to read book one that is in my TBR soon! They are wonderful stories, Caryl!